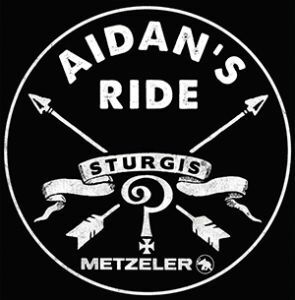 Brooklyn, New York - The second annual Aidan's Ride Sturgis, a charity motorcycle ride organized to fight ALD, will take place August 8, 2016, during the 76th anniversary of the iconic Sturgis Motorcycle Rally®. Last year, 75 riders participated, raising over $13,500 for the Aidan Jack Seeger Foundation, and organizers expect an even bigger turnout this time around. "We were so happy with the response and support we received," said Elisa Seeger, Aidan's mother and founder of the foundation. "This is another great step in our journey and mission to educate people about ALD and hopefully save families from enduring what ours did." Held to benefit the Aidan Jack Seeger Foundation, which was established in Aidan's honor, Aidan's Ride Sturgis seeks to raise funds for the purpose of helping families with children diagnosed with Adrenoleukodystrophy, heightening awareness about ALD and pushing for legislation in every state that mandates screening of newborns for the disease. Currently, New York is the only one of the United States to screen for ALD, thanks to Aidan's Law, passed by the state legislature in the wake of Aidan's tragic and untimely death. As of June 15, 2016, 560,000 newborns have been screened in New York and 46 babies have tested positive for the disease. Thanks to early detection, these children are undergoing treatment that will allow them to live full lives. Register for the second annual Aidan's Ride Sturgis that will be an early morning 90-miles long ride that will start at Sturgis Guns (2324 Junction Ave.), then wind through the Black Hills, stop in Hill City, SD, and end at Woolly's Grill and Cellar in Hot Springs, SD, where participants will enjoyed a full catered brunch and receive a limited-edition pin and patch. The ride is made possible by generous support from Metzeler Tires, Hot Leathers and Indian Larry Motorcycles.